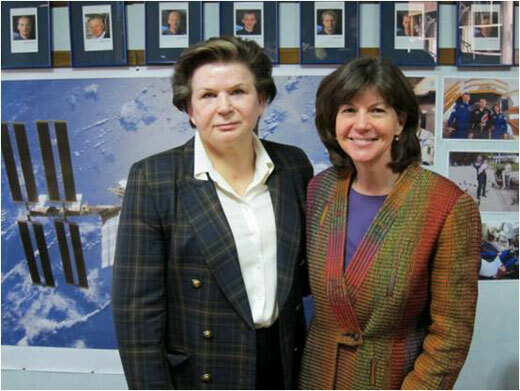 \n\nWomen in Space Part One, Female Firsts in Flight for Space Exploration and Research, NASA Blog - A Lab Aloft (International Space Station Research)\n\n\"In today's A Lab Aloft, guest blogger Liz Warren, Ph.D., recalls the inspirational contributions and strides made by women in space exploration and International Space Station research.\n\nThis month we celebrate the anniversaries of three \"firsts\" for female space explorers. On June 16, 1963, Valentina Tereshkova of the Soviet Union became the first woman in space. Then on June 18, 1983, Sally Ride became America's first woman in space, followed by Liu Yang as China's first woman in space on June 16, 2012. Though their flight anniversaries are not in June, I would be remiss if I did not mention the first European woman in space: Helen Sharman in 1991; the first Canadian woman: Roberta Bondar in 1992; and the first Japanese woman: Chiaki Mukai in 1994.\"\n\nMarc's note:Well worth reading. This page contains a single entry by Marc Boucher published on June 17, 2013 7:52 PM. SpaceX IPO, Not so Fast was the previous entry in this blog. China's Space Program - Still Years behind U.S.? is the next entry in this blog.